Statists occasionally get very angry about some of my views. My support for “tax havens” periodically seems to touch a raw nerve, for instance, though I guess I shouldn’t be too surprised since some people are so crazy that they have even urged military action against these low-tax jurisdictions. I also get some angry responses when I praise Ronald Reagan’s achievements. I’ve even had a few leftists get all agitated simply because I occasionally share a hypothetical poll from 2013 showing that Reagan would beat Obama in a landslide. But what really gets these folks angry is when I argue that recipients of welfare and redistribution should feel shame and embarrassment. As far as they’re concerned, I’m being a heartless jerk who wants to inflict emotional pain on vulnerable people. In other words, I don’t like the welfare state because I care about both the best interests of taxpayers and also about the best interests of poor people. And this is why I repeatedly share data showing how American was making impressive progress against poverty before there was a welfare state. But once the federal government declared a “War on Poverty,” the poverty rate stopped falling. But that’s only part of my argument. I also think there are very worrisome implications for overall society when people start thinking that they have a “right” to welfare and redistribution. At the risk of sounding like a cranky libertarian, I fear that any nation will face a very grim future once too many people lose the ethic of self-reliance and think it’s morally and ethically acceptable to be moochers. 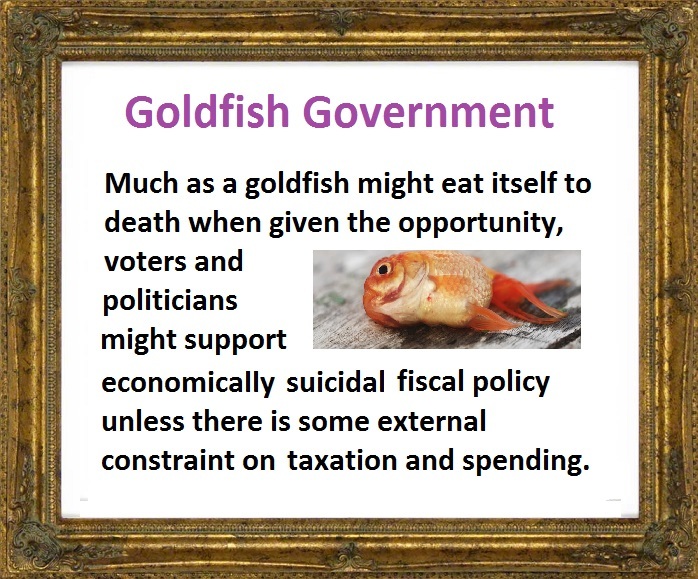 Indeed, my theory of “Goldfish Government” is based in part on what happens when a sufficient number of voters think it’s okay to steal from their neighbors, using government as a middleman. Short-sighted politicians play a big role in this self-destructive process, of course, along with unfavorable demographic changes. And when people want examples, I just point to nations such as Greece, Italy, and France. Or states such as California and Illinois. At this stage, a clever leftist will usually interject and argue I’m being unfair. They’ll say that Nordic nations such as Denmark and Sweden are proof that a big welfare state is compatible with a prosperous and stable society. Au contraire, as our French friends might say. Yes, the Nordic nations may be relatively successful big-government countries, but there are three very important things to understand. The Nordic nations became comparatively rich in the 1800s and early 1900s when economic policy was dominated by free markets and small government. The adoption of high taxes and big welfare states (particularly an explosion in the burden of government spending starting in the 1960s) weakened economic performance. In recent years, Nordic nations have sought to undo the damage of big government with pro-market reforms and limits on the fiscal burden of government. But let’s specifically focus today on whether the Nordic nations are somehow an exception to the rule that welfare and redistribution have a pernicious impact on a society. 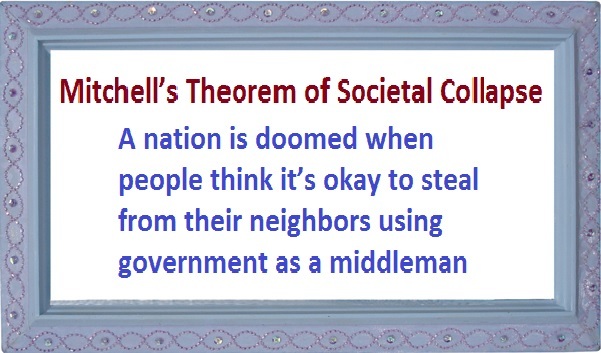 In other words, does welfare in nations such as Denmark and Sweden undermine “social capital”? Is there a negative impact on the work ethic and spirit of self-reliance? Fortunately, we have some very good data from a new, must-read book by Nima Sanandaji, who grew up in Sweden. 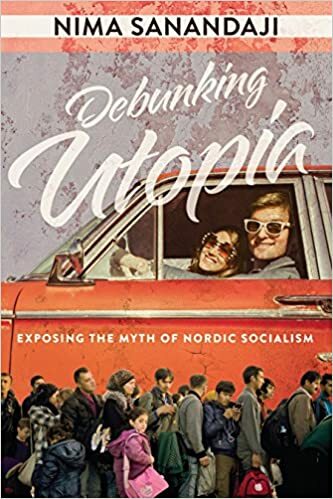 Entitled Debunking Utopia: Exposing the Myth of Nordic Socialism, Nima’s book is a comprehensive analysis of public policy in that part of the world, both what’s good and what needs improvement. One of his 11 chapters is about “The Generous Welfare Trap” and it’s filled with very valuable information about the human and societal cost of the welfare state. Though I can’t resist pointing out that he starts his analysis by citing President Roosevelt. Franklin D. Roosevelt…was concerned that the institution he was fostering…might destroy the spirit of self-reliance. Two years into his presidency, he held a speech to Congress…the president warned that…”continued dependence upon relief induces a spiritual and moral disintegration fundamentally destructive to the national fibre. To dole out relief in this way is to administer a narcotic, a subtle destroyer of the human spirit.” …In today’s political climate, Franklin D. Roosevelt’s view on public benefits would seem quite harsh. Nima then looks at whether the Nordic nations somehow might be proof that FDR was wrong. Yet there has been a persistent conviction among the modern proponents of welfare states that it is indeed-somehow-possible to create stable systems with generous benefits and high taxes. The main line of reasoning is based on the Nordics. The welfare states in this part of the world seem to, at least at first glance, succeed in providing extensive services and generous cash benefits without eroding personal responsibility. If generous welfare works in Sweden and Denmark, why not also in the rest of the world? The problem, as Nima points out, is that these policies don’t work in his part of the world. And not just because of the fiscal burden. His main point is that the welfare state is weakening people’s integrity. …the World Values Survey shows that erosion of norms is very much a thing in the Nordics. In the beginning of the 1980s, 82 percent of Swedes and 80 percent of Norwegians agreed with the statement “Claiming government benefits to which you are not entitled is never justifiable.” …However, as the population adjusted their behavior to new economic policies, benefit morale dropped steadily. In the survey conducted between 2005 and 2008, only 56 percent of Norwegians and 61 percent of Swedes believed that it was never right to claim benefits to which they were not entitled. The survey conducted between 2010 and 2015 only included Sweden out of the Nordic countries. It found that benefit morale had continued to fall, as merely 55 percent of Swedes answered that it was never right to overuse benefits. …Over time even the Nordic people have changed their attitudes as social democratic policies have made it less rewarding to work hard and more rewarding to live off the government. By the way, at the risk of nit-picking, I would have advised Nima to use the term “benefit morality” rather than “benefit morale.” Though I assume almost all readers will understand the point he’s making. The bottom line, he explains, is that the Nordic nations have been the best possible example of how a welfare state can operate. But even in these nations, the narcotic of government dependency has slowly but surely done its damage. Although Nordic welfare states seemed initially able to avoid this moral hazard, today we know beyond doubt that this was not the case. Even the northern European welfare states-founded in societies with exceptionally strong working ethics and emphasis on individual responsibility-have with time caught up to Roosevelt’s harsh predictions. The good news is that Nordic nations are trying to undo the damage of the welfare state. Many governments in the region are scaling back the generosity of handouts and trying to restore the work ethic. I don’t want to give away too much information. You need to buy his book to learn more. And the other 10 chapters are just as enlightening. I’ll close by simply observing that Calvin Coolidge (as quoted by Ronald Reagan) understood today’s topic way back in the 1920s. P.S. I’ve also cited Nima’s great work on how people of Nordic descent in America are much more productive than their cousins who remained in Scandinavia, as well as his work showing that Nordic nations originally became rich because of Hong Kong-style economic policy. And I’ve also shared some of his fascinating research on the policies that generate super-entrepreneurs. You know what Churchill called Socialism…… Equality in poverty. on August 30, 2016 at 4:01 am Jukka J. Sir, you are bullshitting. As a citizen of a Nordic country, I say that your interpretation is totally wrong. The work ethics of the original white population has not waned, it is the massive influx of negroes and arabs and other moslems that is creating the problem. On average, btw, our homicide rate is 80 % below the U.S. national average, and our prison population is about 1/10 of the U.S. rare per capita. Norway has no national debt and has an unemployment rate well below that of the U.S.
“Any nation whose growth trendline is below the world average trendline is on a decline path”. Can someone please plot the ratio of Nordic growth compared to world average? What they will see is a growth rate that handsomely outpaced world average in the 1800s and early 1900s, and then a growth deficit. A growth deficit that will quickly erase two centuries of gains, as fast growth elsewhere in the world re-absorbs Nordic standards of living into the middle-income nations of the latter part of this century. At a personal level, the more intuitive amongst Americans will look at who fared rather well in the declining relative wealth of the European Welfare states — and mimic them! Hint: Those who have seen this road-to-welfare-hope movie of decline in their home countries across the Atlantic — multiple times — have an advantage over delusional Americans who think that some divinity or simply luck has endowed the country with plenty of prosperity margin to squander in suboptimal “compassionate” decisions. To add insult to injury, those who have seen the movie of welfare decline and have the intuitive advantage of knowing will also steal your wallets as the boat sinks. Great article, Dan. We agree that people should feel shame and embarrassment for taking what is not theres. And we also agree that the absence of a work ethic is toxic to capitalism and to prosperity.